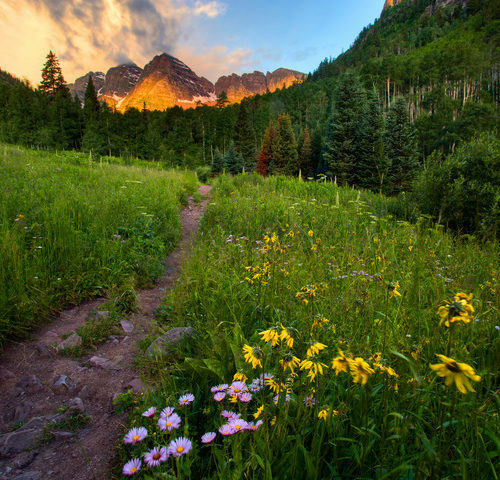 If you live someplace like Aspen, it’s a serious undertaking to hike all of the region’s trails. Conversely, some of the shortest excursions might get short shrift- dismissed as tourist traps or too brief to count as actual hikes. 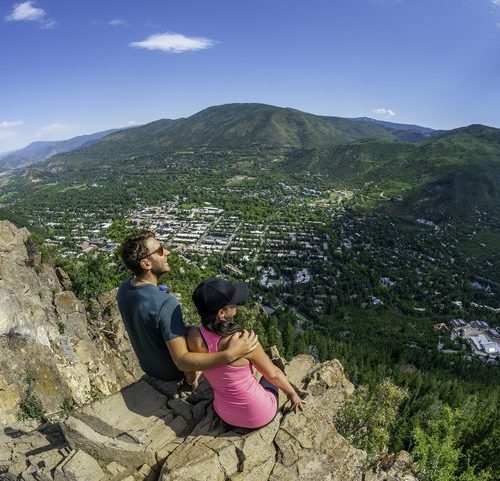 I confess that until recently, I’d never visited Aspen’s famed Grottos Trail for both of the latter reasons. 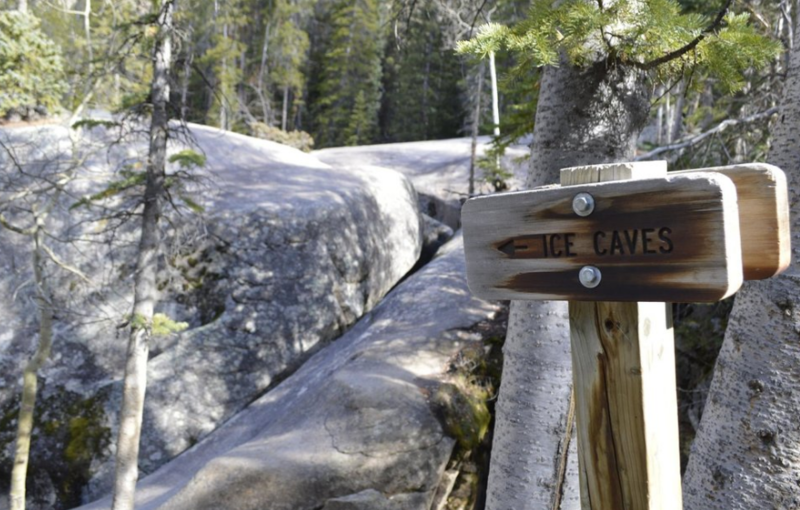 The name, however, had long intrigued me- the forested trail is named for the sculpted boulders and ice caves that have formed as a result of 8,000-year-old glacial activity. You’ll find the Grottos Trail just past the mile marker 50 off Highway 82/Independence Pass, approximately nine miles east of Aspen. As I discovered, what Grottos lacks in extreme adventure, it makes up for with its scenic and restorative attributes- it’s a lovely spot to just chill out. 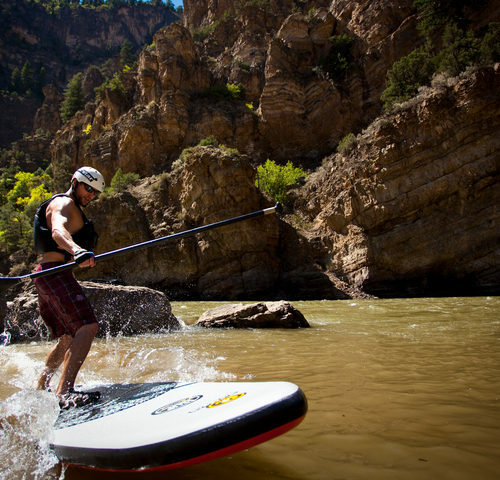 Here’s to summer in Aspen. 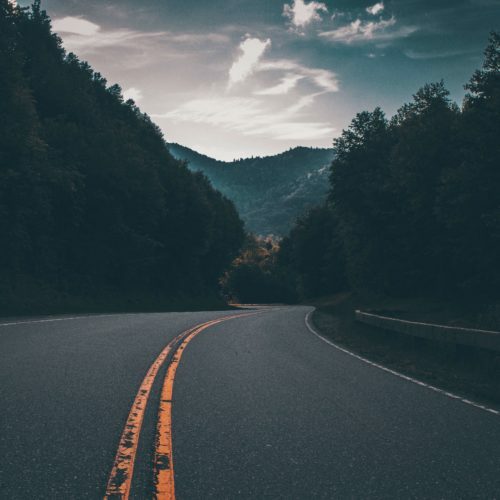 From the parking lot, cross the bridge and hang a left onto a short trail that formerly part of the stagecoach route between Leadville and Aspen. It’s an easy, wheelchair-accessible trail that leads to the Cascades, a series of wide waterfalls along a bend in the Roaring Fork River. This time of year, the high water levels make for especially dramatic viewing, and the massive boulders along the river’s edge are ideal for photo opps and picnicking. That said, please don’t try to win any Darwin Awards by venturing too close. If you continue straight after the bridge, this half-mile trail (Grottos’ longest) leads to the confluence of the Roaring Fork River and Lincoln Creek. Note that this time of year, parts of the trail and a set of stairs are submerged due to high water, but you can still access the Cascades via this alternate route. The caves are accessed by scrambling down a short, steep slope off of the main trail. Even in high summer, the labyrinthine tunnels are likely to have residual hardpack snow or ice, so exercise caution when exploring. The rock is also slick and climbing out can be difficult, so you’ll need to close-toed shoes with good traction, but the caves are a fun detour to the Cascades. 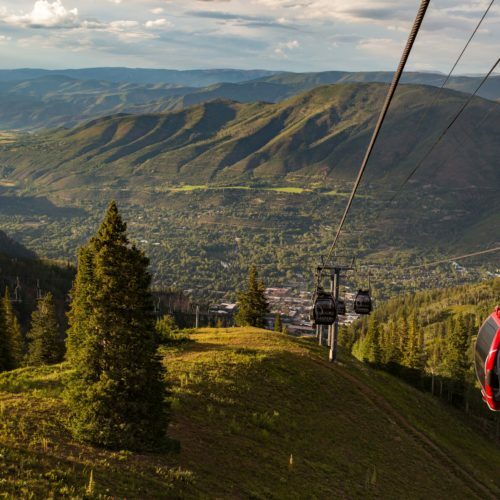 Explore more trails and adventures in Aspen, but stay comfy at the Limelight.